Did you know that some side effects of stress are headaches, high blood pressure, heart problems, diabetes, skin conditions, asthma, arthritis, depression, and anxiety? Stress is now considered a hazard of the workplace. It has been estimated that the vast majority of doctor’s visits are for symptoms that are at least partially stress-related! During periods of high stress try to exercise more often. Studies have shown that exercise guards against adverse side effects of stress. Spend some time in nature with your feet planted on the earth. 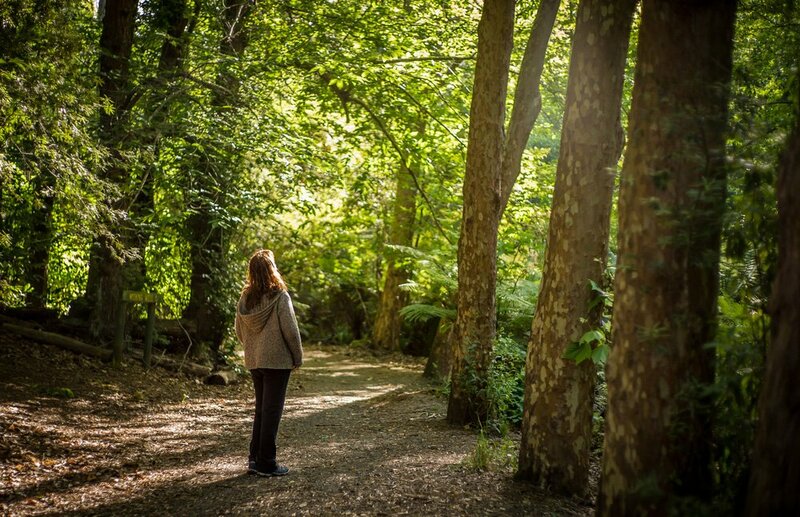 Even just 5 minutes alone with nature can boost your mood and lower stress hormones. Stay connected to your loved ones and friends in times of stress. Just those small conversations even for 5 minutes can have a huge impact on your stress levels. Think of five things in your life you’re grateful for. Spend a few moments dwelling on what and how much they mean to you. Go have fun with your hobby! What do you like to do outside of work when you aren’t super busy? Go and do it! Having a mental break will help you to eliminate the negative side effects of stress so you can think clearly again. Take a soothing warm or hot bath. Give yourself a break! Accept that no one is perfect, not even you. Learn from your mistakes and let them go. Embrace the Japanese concept of wabi sabi – there’s beauty in the imperfection. Start focusing on breathing by inflating your stomach as you breathe in, doing so without any strain. You’ll instantly feel the benefits of breathing to calm your nervous system, your mind and your feelings. Block out at least 5 minutes a day of quiet time when you can sit and relax – no computer, no cellphone, no kids – sit down, close your eyes, and just breathe – that will help you refocus your energy. Slow down! Try not to let your busy work environment affect you. Your client or colleague can wait just 1-2 minutes. Simply close your eyes and relax for two minutes every hour or just before a meeting. This clears your mind and keeps you mentally aware and active. You really don’t need to devote hours to stress relief every day. Instead, just know when you are stressed and simply take 5-10 minutes out of your schedule to calm your nerves and eliminate the side effects of stress. Go ahead and give the tips that resonate with you a try! P.S. And for more tips, sign up for this 5-part email series of tips to help you achieve better life balance.